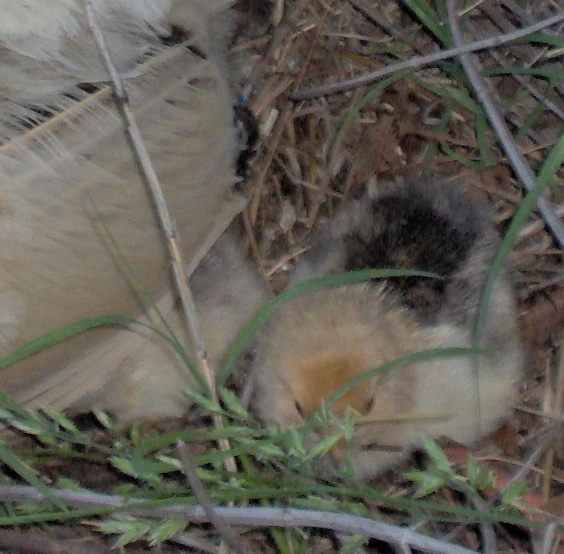 Here are some pictures but mainly just tiny shots due to movement and being more clear at small sizes. 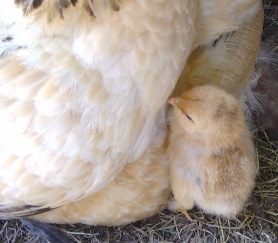 This little blonde beauty is one of two chicks from Henrietta’s daughter hatched yesterday believe it or not! 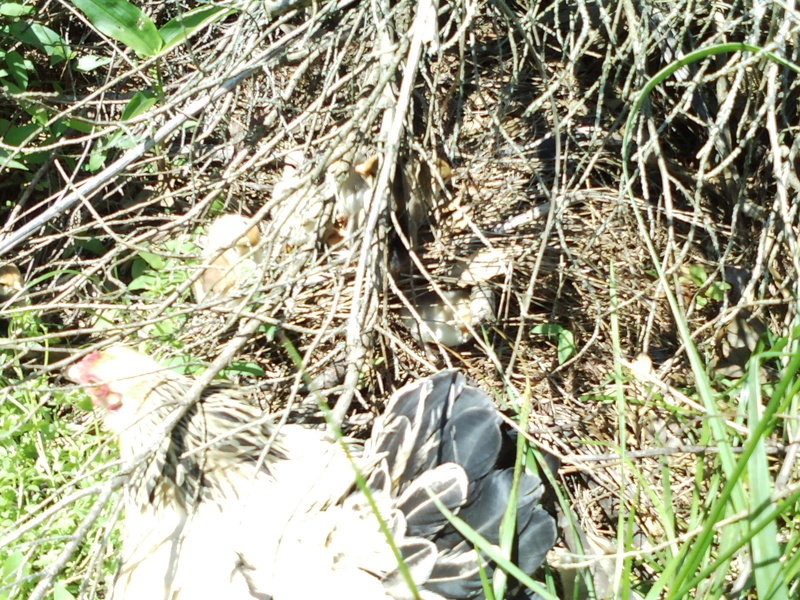 Little Momma got rid of all the greenery she had under her for nesting. Silly momma. LOL! 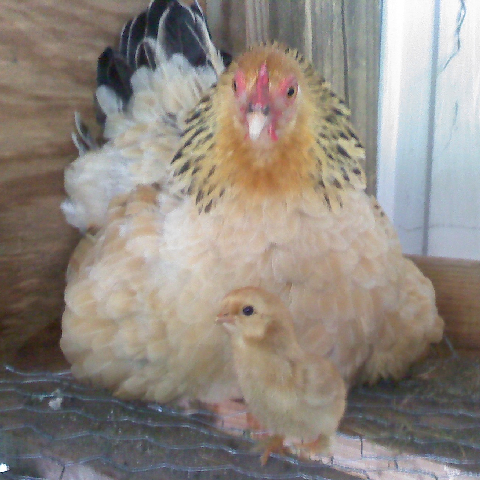 Afraid to put any more in there till she is done with her chick hatching days. 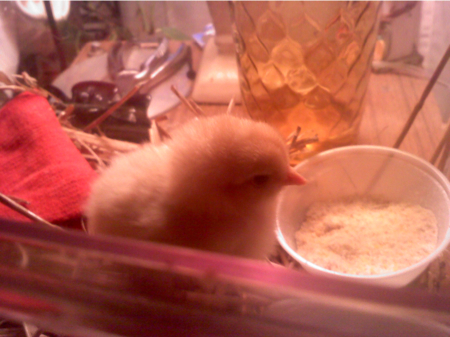 Jim saw one other chick that has some black on it like two of the 2nd generation chicks. 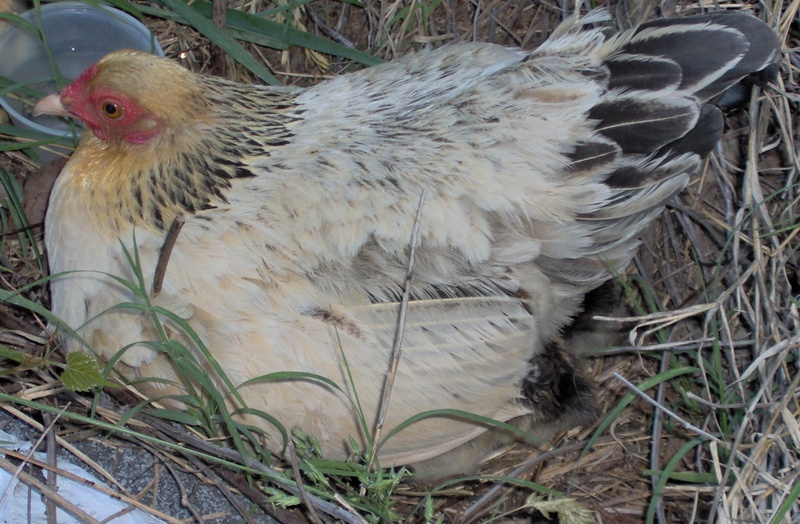 There are still two eggs that are likely hatching soon (we hope). 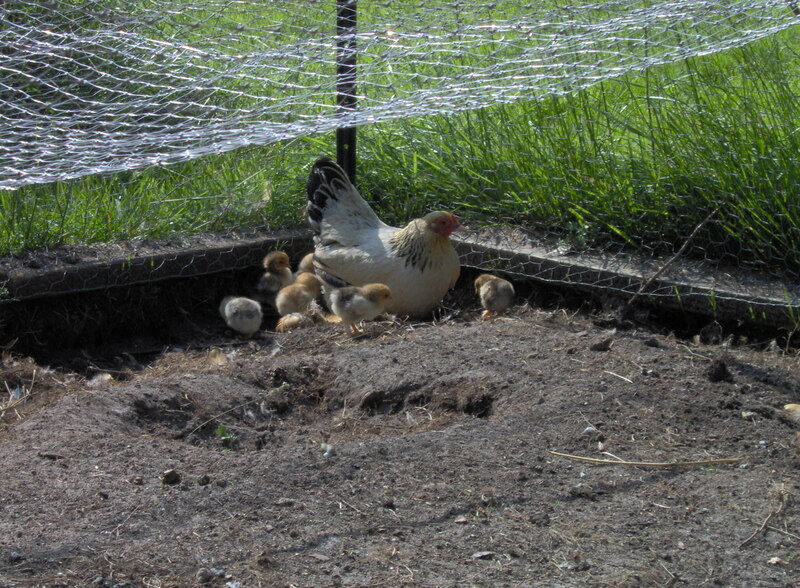 Little momma is guarding them closely. 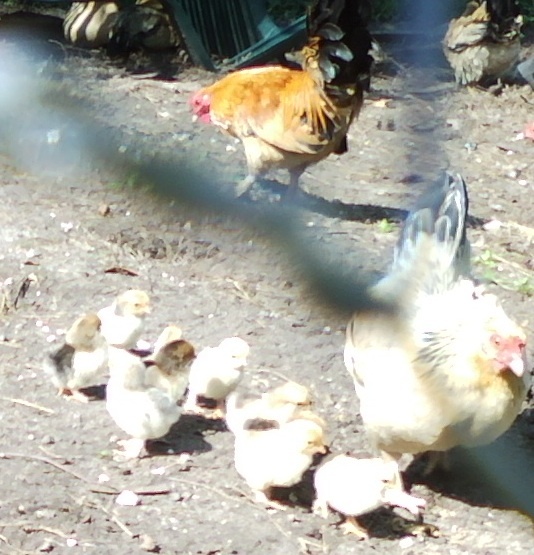 Jim could tell by my last posting that I wasn’t real pleased with my phone camera pictures posted earlier today, so he went and got some pictures of Henrietta and the Chicks all settled in the pen now and a better image of one of the roosters too. 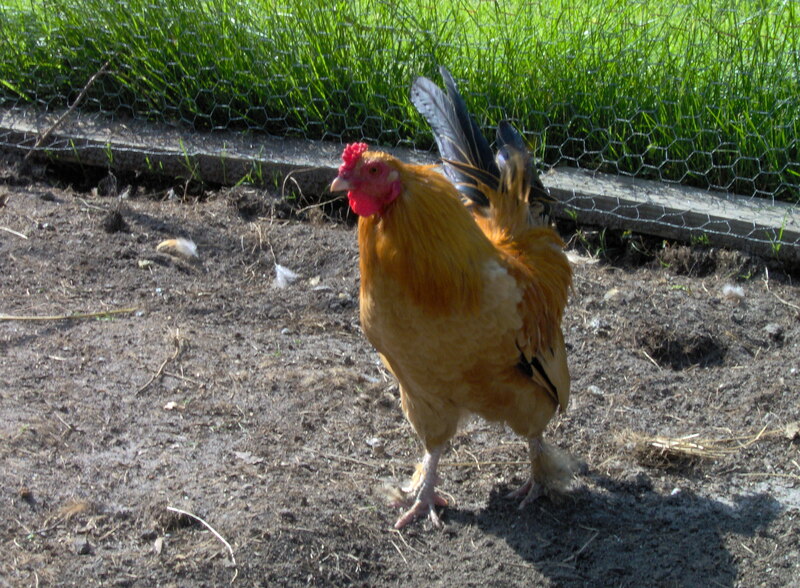 Ernie the Rooster. 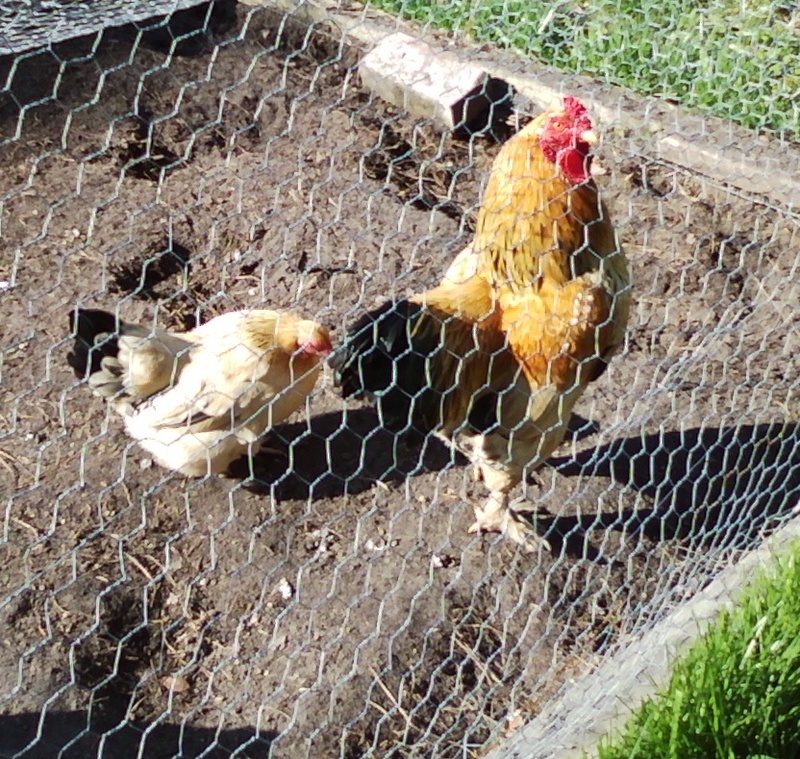 We have Barney (the older rooster, mate to Henrietta) and then we have the sibling brother roosters; Bert and Ernie. 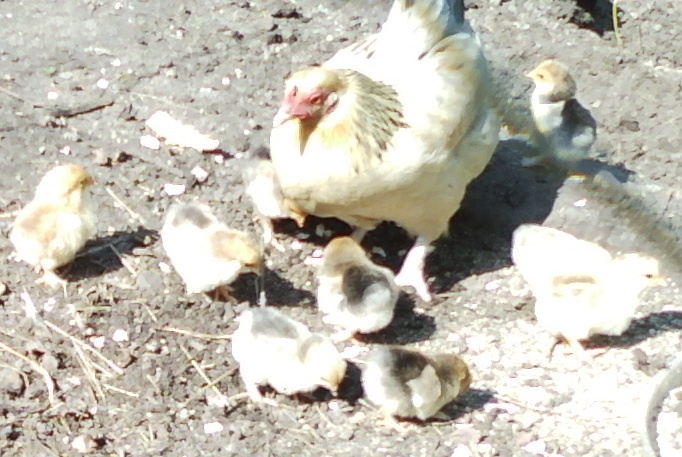 Henrietta and her 10 chicks made their way to the pen today. 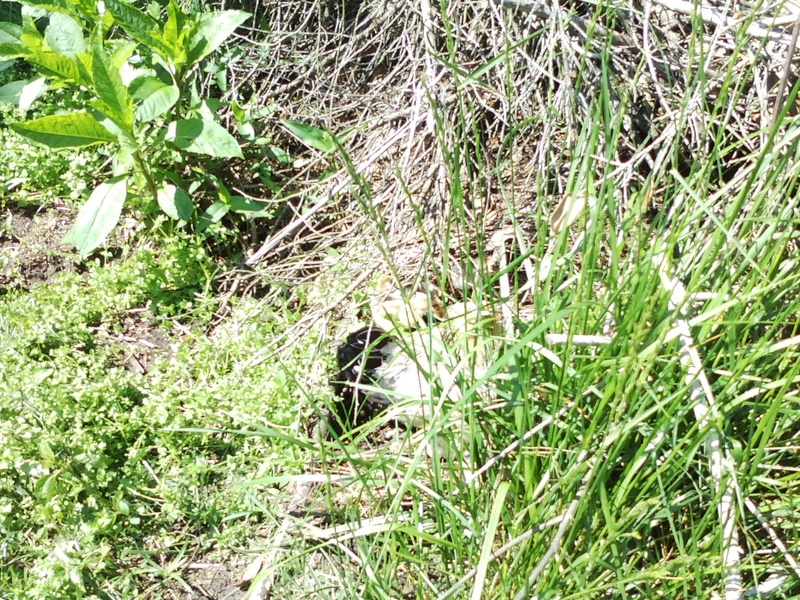 We encouraged them to do that so they would be safer during mowing excursions, plus they would be safer from predators like ‘possums. 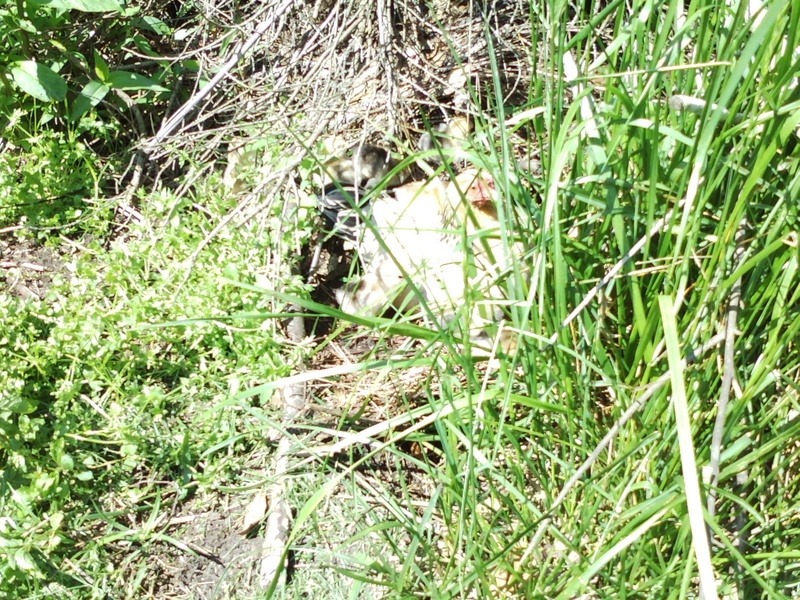 Not to mention that there is a hawk nearby the property on telephone poles that had us concerned that they were out in the open without protection of the pen’s enclosure. 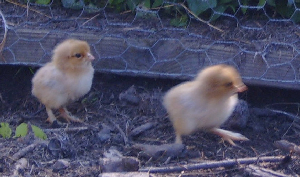 It was so funny when we came back out and got them headed in the right direction again. 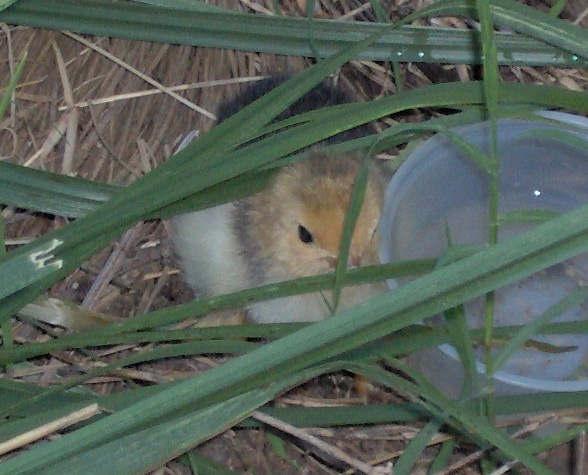 The chicks actually saw the food dish inside the pen and took off and popped into the pen, THROUGH the chicken wire and Henrietta resigned that she would have to go in after them so she used the door to get in. 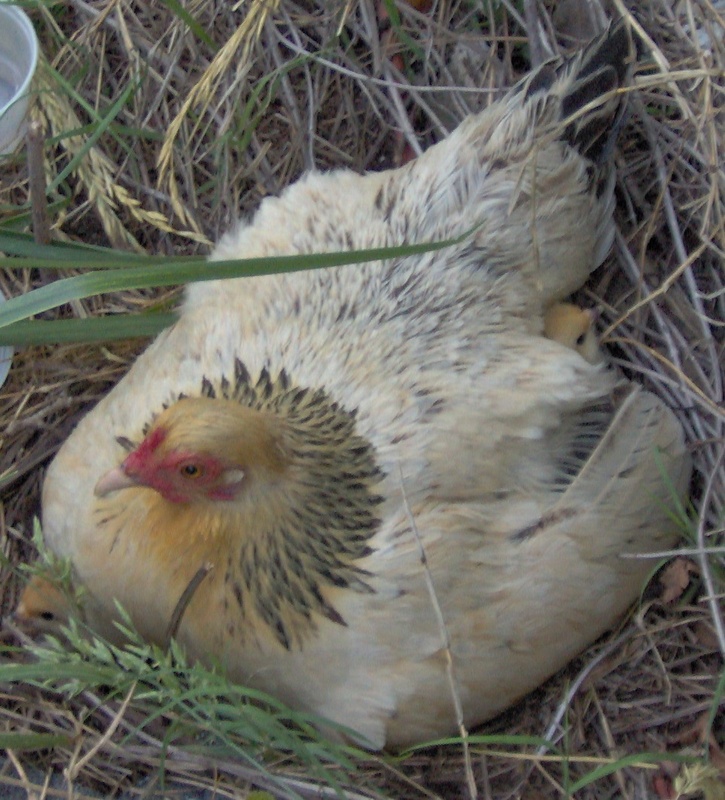 I remember looking at a friend’s pen before we got our chickens and saying to myself, “what happened to all the grass?” Now that we have had our chickens for awhile, and the grass is gone in our pen too, I now know why. LOL! 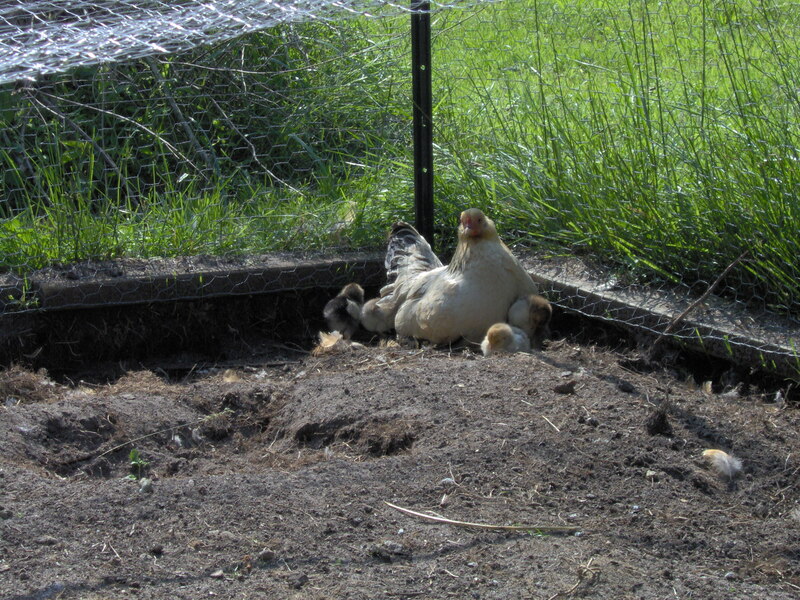 Chickens dig everywhere for grubs, roots and other edibles and they love greens. 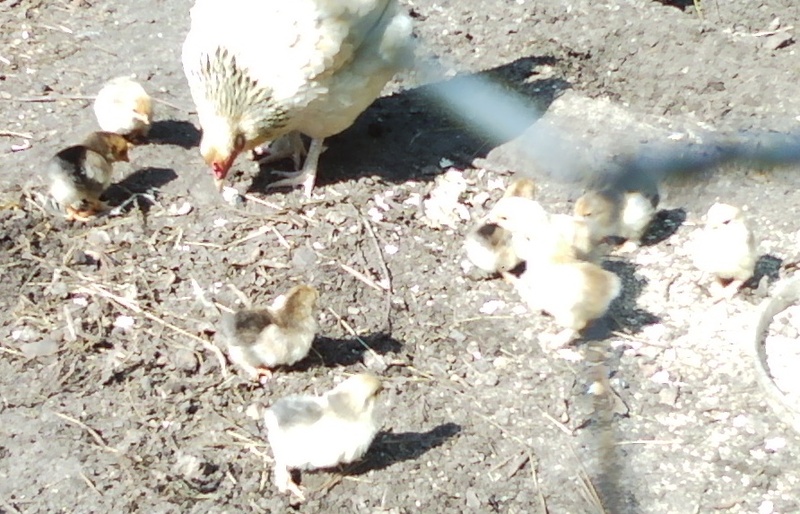 So we give them vegetable scraps and greens from the yard every day which they eat along with their food. NOTE: these images were taken with the camera on my phone so they are not as good as the ones with the 4.5MP camera that Jim uses. 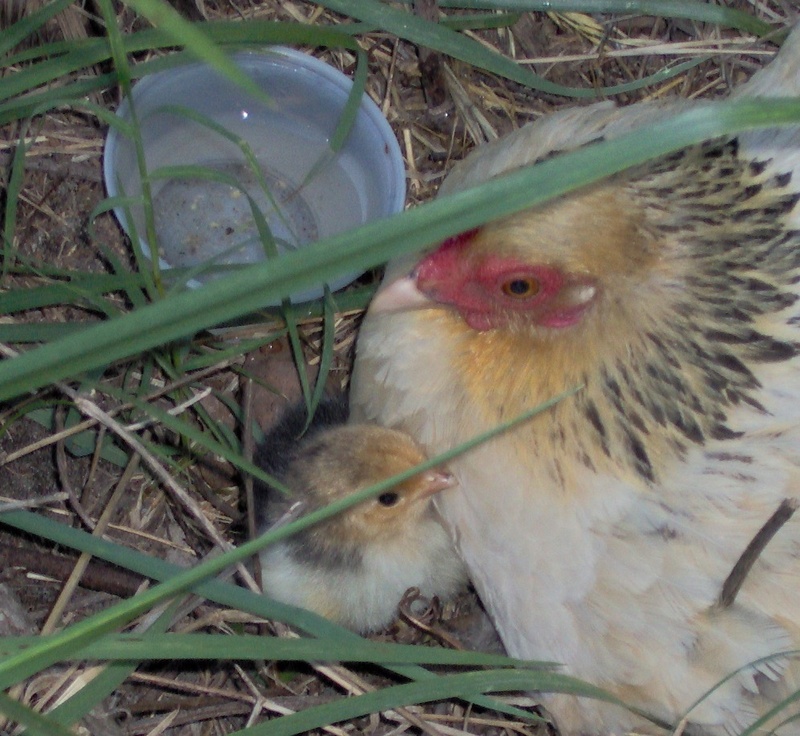 Well, I tested out the video on my camera today and took some footage of Henrietta and the chicks. I have two separate files; one short for the dialup impaired, and one long for broadband users. Below find the links. Just right click and choose save target as, or equivalent in your browser. They are full quality AVI files. 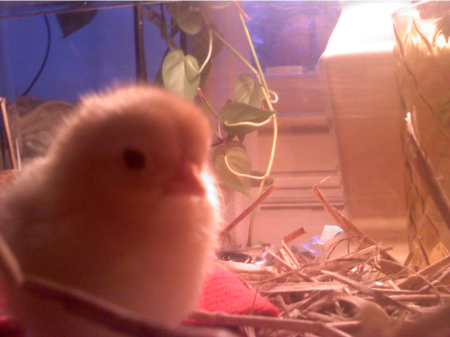 Starring Henrietta and her 3 week old chicks. 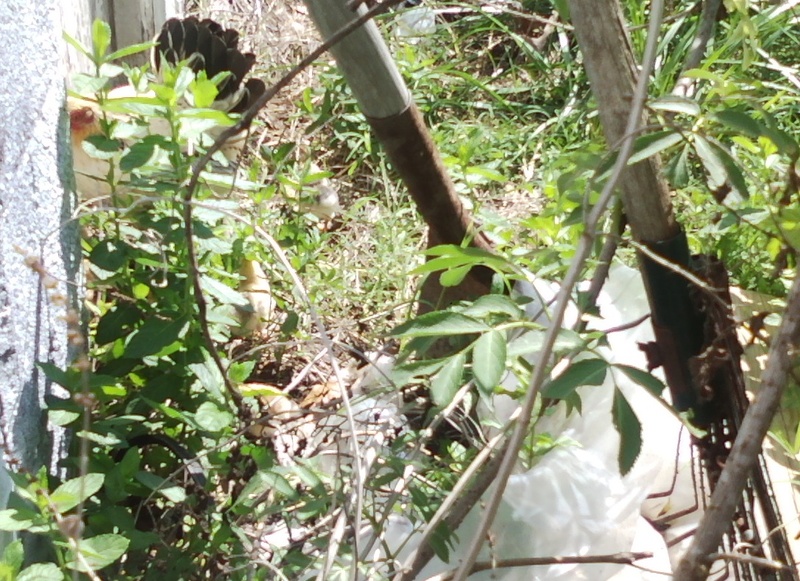 In the background, you might also hear a morning dove and a rooster in the video. 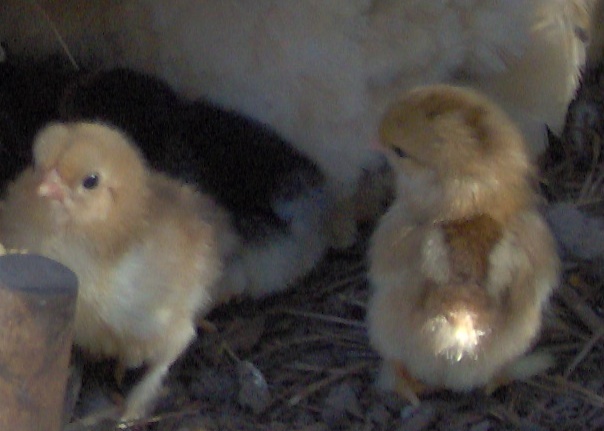 The chicks were born at a friend’s farm here in Virginia (they have raised chickens for 15 years). 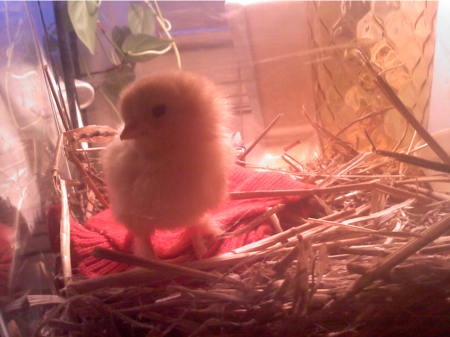 This is our first ever attempt at raising chickens. They are very entertaining. 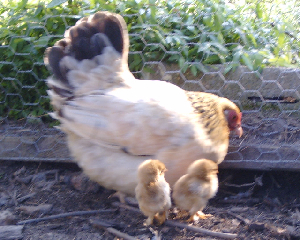 Henrietta is a Buff Brahma Bantams and her chicks are a cross between Buff Brahma Bantams and B.B. 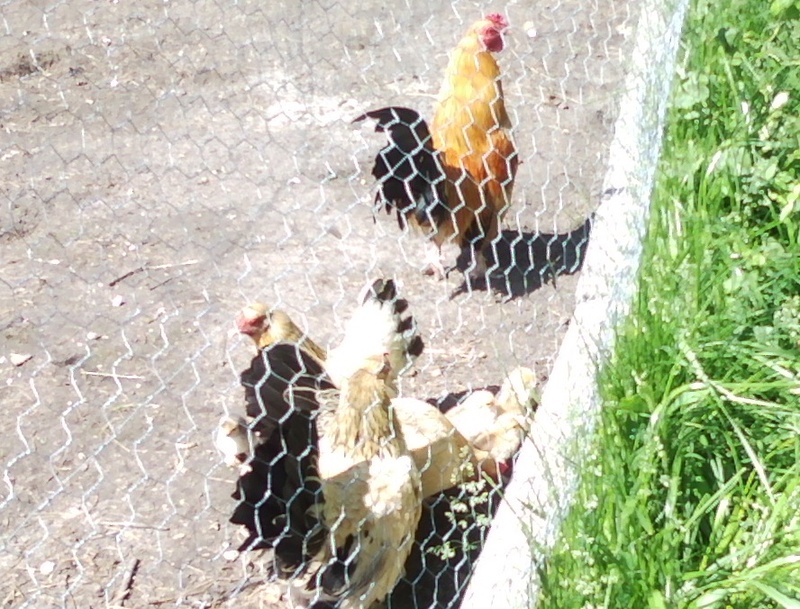 Red Old English Game Bantams. The movie was shot with a Samsung Digimax 530 and converted with iMovie on the Mac. 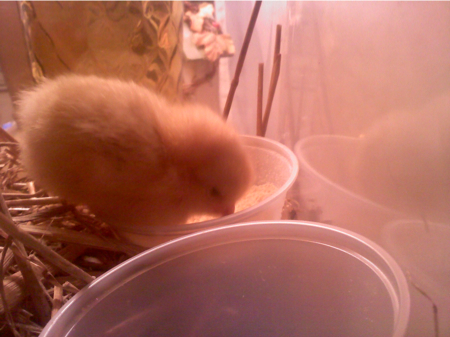 If you can’t see the video due to bandwidth limitations, there are some still shots of Henrietta and the Chicks here.